This chapter is performed under water, the controls are a bit strange but you will get used to it by the end of the level. The idea is that you are under the ice of the lake, and you are looking for the sword. As you make your way around the level you will run out of air so you need to use the bubbles to fill up your air-o-meter. Go down to the black and red spiky devils snare and stand on the floor to use spells. Use the ‘Lumos’ spell on the devils snare to reveal a shopping trolley and use the ‘Wingardium Leviosa (WL)’ spell on the shopping trolley to place it on the ice. Across the ice you’ll see a chest in the rock, use the ‘Reducto’ spell on the silver rock around the chest; this will drop the chest. Use the ‘WL’ spell on the chest to place it in the shopping trolley and wait for it to break through the ice. Head down through the hole in the ice, and head to the right. (Stud Vacuum Red Brick) – (Free Play Mode) Switch your character to goblin character that can open locks (e.g. Bogrod) and press and hold the A button in front of the green box to gain the Stud Vacuum Red Brick. Now head to left of the screen and go up in free play mode or down in-game play mode. (Wizards Hat) – (Free Play Mode) Use the ‘Lumos’ spell on the devils snare to the top left (you’ll need to aim to stand where the bubbles are so you don’t get hurt by the devils snare) and then use a dark magic character to break off the padlock and gain a Wizards Hat. (Wizards Hat) – Swim down the bottom and you’ll see a huge crab to your right, you can’t get past the crab at this point to get the Wizards Hat. Go up to the platform above and stand as close to the edge as possible. Use the ‘WL’ spell on what looks like an arrow (It’s supposed to be an umbrella) to stop the mermaid attacking you. Use the ‘Lumos’ spell on the devils snare to release the crab food, shoot the food can to open it and shoot it again to knock it over which will attract the crab. Now go back to collect the Wizards Hat. (Mundungus Fletcher Character) – Make your way through the area until you get to the devils snare. Before you do anything with it, swim up and slightly left and you’ll see the Mundungus Fletcher Character token. Use the ‘Lumos’ spell on the devils snare to reveal the sword and a path of studs leading to a platform to the top-right. (Peter Pettigrew Character) – Land of the ledge by the brown wagon. You’ll see a block of ice with a character token behind it. Use the ‘Reducto’ spell on the ice to break it up and collect the Peter Pettigrew Character token. Use the ‘Ruducto’ spell on the padlock on the brown wagon to drop down a couple of barrels. Follow the barrels down the floor and shoot both of them to reveal a pick and hammer. Use the ‘WL’ spell on the pick and hammer to get the sword and pick up the sword to continue. Now you’ll find yourself back in the woods. 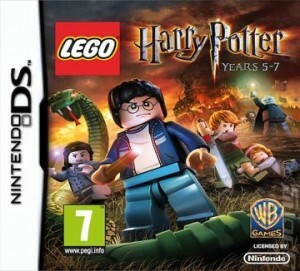 (Third Brother Character) – Switch your character to Harry and head to the yellow ring to the left. Use the A button while standing in the middle to transport yourself to the other yellow ring. Use the ‘WL’ spell on the tree branch and jump on the branch to reach the Third Brother Character token above. Jump on the platform above and use the ‘Reducto’ spell on the rocks to drop the black down to the other side and head back through the yellow ring. Use the ‘WL’ spell on the black rock to place it on the pressure platform which will start to reveal a Parseltongue cabinet. (Wizards Hat) – Head to the right of the area and you’ll see a crab shooting fire, DO NOT SHOOT IT!!!. Make the crab follow your character to the timber logs next to the ice that holds the wizards hat and get the fire crab to light the timber on the floor (you may lose a bit of health in doing this), this will melt the ice and reveal the Wizards Hat. (Free Play Mode) To the top right of the area, you’ll see a Hermione Bag Spot on the floor. Switch your character to Hermione and press the A button and rotate the directional buttons to use the bag spot; this will produce a mushroom. Jump on the mushroom to get to the platform above and head the right. (Wizards Hat) – (Free Play Mode) Switch your character to a strength character (e.g. Hagrid or Dudley Dursley) and press and hold the A button next to the orange handles on the tree to reveal a pet tunnel through the tree. Switch to a character that has the ‘Pet’ ability (e.g. Hermione) and press the A button to use the ability. Head into the tunnel and up the tree to gain a Wizards Hat. (Reginald Cattermole Character) – (Free Play Mode) Switch your character to Dumbledore and select the ‘Deluminator’ ability. Press and hold the Y button to target the lamp and release to gain the light from the lamp. Drop down to the main area to the right and use the ‘Deluminator’ ability to light the unlit lamp in the far right section of the area. This will melt the ice and reveal the Reginald Cattermole Character Token. (Dobby Character) – To the far right of the area, you’ll see a red wall. Use the ‘Deffindo’ spell on the wall to gain the Dobby Character token and reveal a Quibbler Dispenser. Collect a pair of Spectraspecs and head to the second pressure platform, next to it you’ll see a second black rock. Use the ‘WL’ spell on the rock to put it on the platform and raise the parseltongue cabinet. Use the cabinet to activate the horcrux. Now you need to defeat the horcrux, this took me ages to figure out what to do. Basically, when the head comes down to the ground and stops firing at you, using Ron and the sword, stand in front of the face and press the Y button, it took me a while to get into the right place and you need to be quick. Once you’ve managed to do this once, you’ll need to switch your character to Harry and shoot the spiders. As soon as both spiders have been destroyed switch to Ron and use the sword on the face again (you need to repeat this 3 times). Once you have defeated the horcrux you’ll watch a cut scene and go to the next area where you’ll be entered into a duel. Win both duels to finish the chapter. This entry was posted in DS and 3DS, Games, Lego Harry Potter Years 5-7 on February 26, 2012 by Tasha.